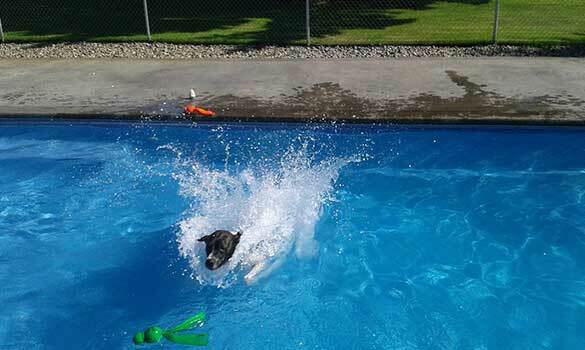 At Northwind Pet Care Center, we know that an active dog is a happy dog! We offer the following activities to customize your pet's stay. 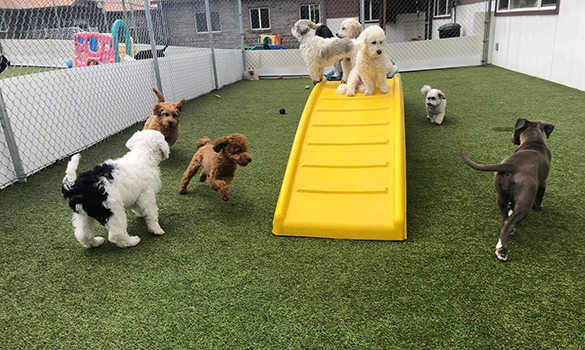 This includes your pet playing with other size appropriate dogs in one of our large play yards for approximately 30-45 minutes. This feature of boarding makes your pet's stay more like a camp! Most dogs really enjoy socializing with other dogs as well as stretching their legs and running around! This activity is for pets that are good with other dogs. Full males over the age of 6 months and females in heat are not allowed to participate in social playtime. This includes your pet playing in one of our large play yards by themselves for approximately 15-20 minutes. This is a good activity for pets that do not get along well with other dogs, full males over the age of 6 months, or females in heat. 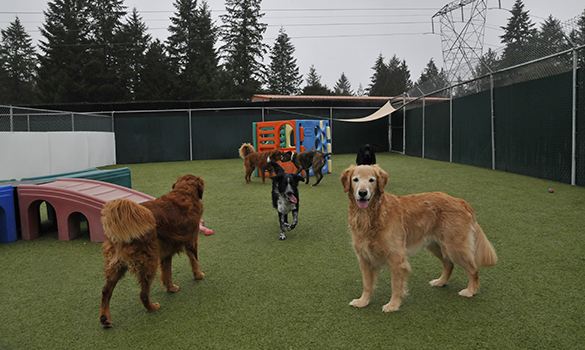 This includes your pet playing in one of our large play yards with other older pets for approximately 20-25 minutes. This is a good activity for the older pets that need to get up and move around, but not be out with more rambunctious pets. This is not a good activity for pets that still have lots of energy and want to play rough or jump around. Give your pet a little bit of extra "one on one" attention in addition to our standard level of care. You may choose either personal playtime, a nature walk, or love time. Each 10-minute session is $9.00 and includes personalized attention from one of our pet care technicians. Personal playtime and love time is charged per kennel. A nature walk is charged per dog. If you would like a picture of your pets while they are staying with us we are more than happy to do that! We can either email or text updates to you as often as you would like to schedule them! 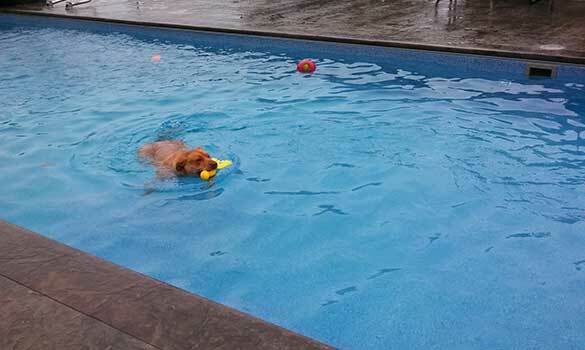 We have a 16 x 40ft in-ground heated pool that can be used for fun, exercise, or rehabilitation. 15 minutes of swimming is like 1 hour of playing! 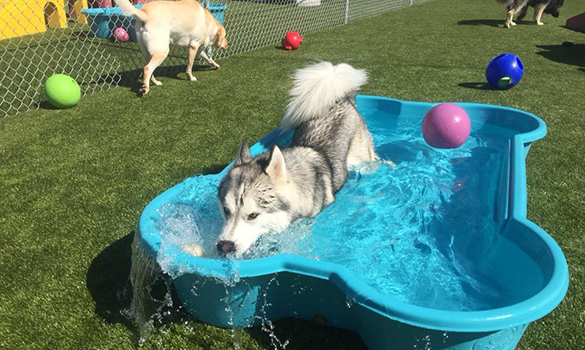 We offer pool time while boarding or in our daycare for the day. Social pool time is $17 for a 30-minute session. Private pool time is $17 for a 15-minute session.